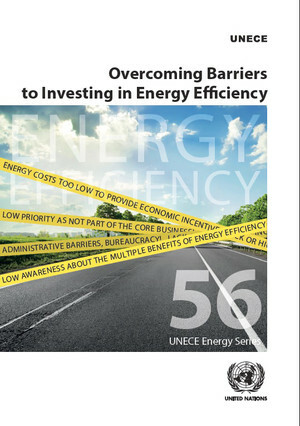 This publication presents the outcome of a survey among the energy efficiency practitioners on the challenges and solutions for overcoming barriers to energy efficiency investments. The primary geographic focus is the UNECE region comprising 56 member States from Western Europe (members and non-members of the European Union), North America (Canada and the United States), South-East Europe, Eastern Europe, the Caucasus, Central Asia, Israel, Turkey and the Russian Federation. ort by the UNECE and the Copenhagen Centre on Energy Efficiency. The analysis of the survey and its conclusions and recommendations will serve as a useful tool for energy efficiency community. Policy makers can apply the results to the situation in their countries and find approaches to improve investment climate for energy efficiency.